ekadek neevatron. 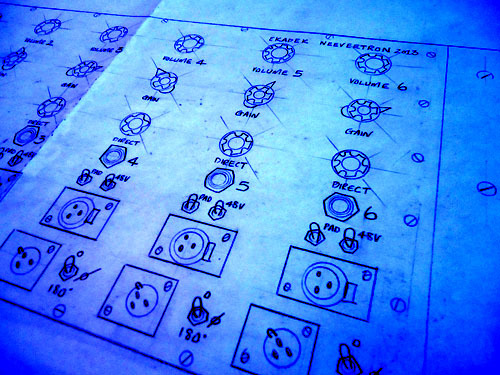 here’s a drawing for a new six channel microphone.direct amplifier . 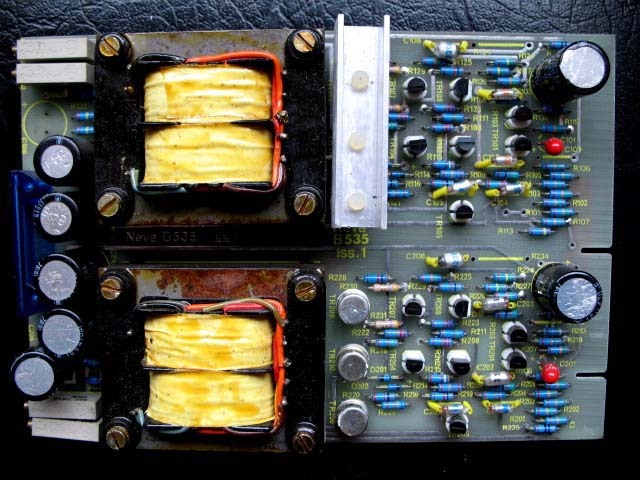 the guts of it is three of the last (in the world) five NEVE B535 dual line output amplifiers – n.o.s original right out of the 1970s – another world. the neevertron features real simple functionality. mic pad – phantom power – phase changer – fantastic clear sound. there is a negative feedback stage gain adjusting control which allows to set how hard the preamp works on the input signal. the output signal volume control chooses off a good proportion of that and feeds the totally juicey B535 line output amp. an uber fat lo lo Z isolated balanced output is fresh made.